Nikon gained its international fame when its lenses were used by American photojournalists during the Korean War. Prior to that, it was known for the effective military and commercial applications of its glass products including binoculars, periscopes, and bombsights. It quickly became a leader in SLR photography—all the way from its rangefinder up to its modern digital SLRs. It’s also become a leader in the corrective lens field with its partnership with Essilor. Why pawn your preloved Nikon with PawnHero? 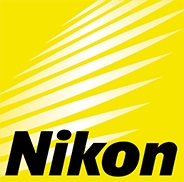 As the pioneer online pawnshop in the Philippines, PawnHero encourages you to pawn your Nikon gadget to us. We recognize the innate quality and value that Canon represents. With the highest appraisal rates versus regular brick-and-mortar pawnshops, you get the most value to meet your short-term financial needs. With an industry-leading low interest rates starting from 2.99 percent backed by 0 hidden charges and services fees, PawnHero is your convenient, reliable partner for quick cash.